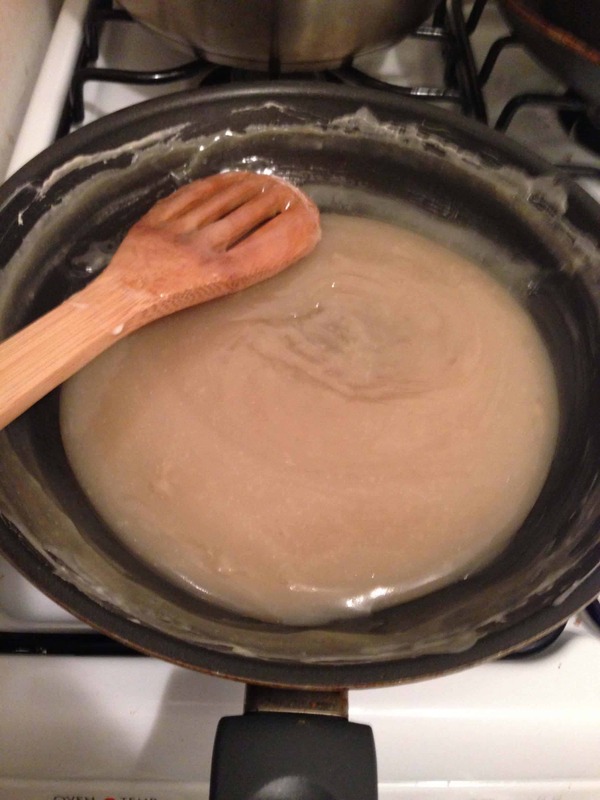 To make the sweetened condensed milk, place the coconut milk, sweetener of choice, and brown sugar into a saucepan and whisk gently over medium heat for 2-3 minutes. This will help the solid bits of coconut milk melt and incorporate with the sugar. When the mixture is just beginning to bubble around the edges, reduce the heat to the low. Set a timer for 45 minutes (you may need to go a bit longer depending on your stove) and simmer uncovered, whisking every 5-10 minutes to release steam and aid in evaporation. The mixture will half in volume, and should be quite thick. You will also notice that it is a darker color. Remove from heat, stir thoroughly, and pour into a glass jar or container. Cool in the refrigerator. It will continue to thicken as it cools. 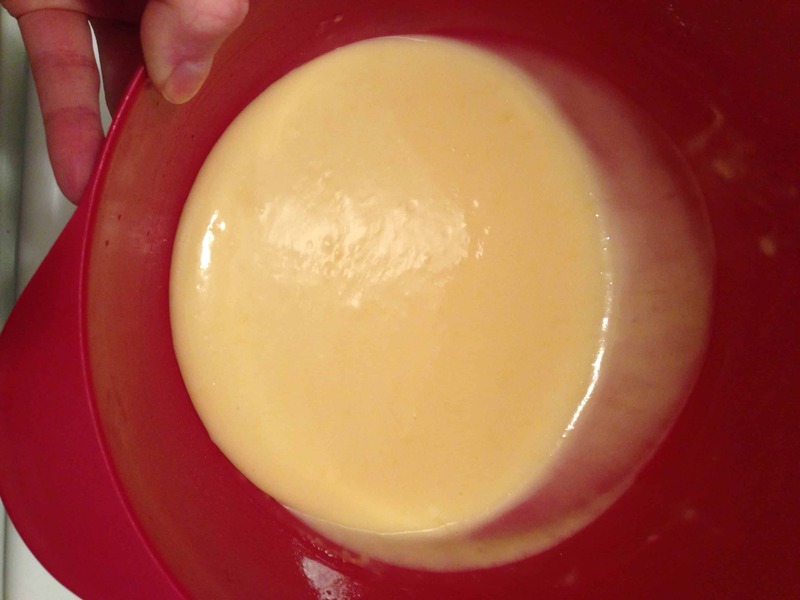 Once the sweetened condensed milk is made, you can begin on the pudding. 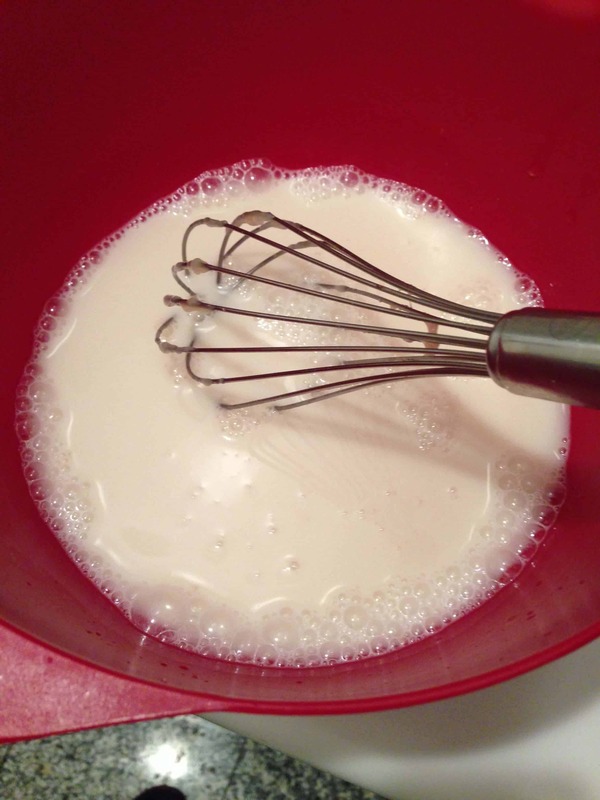 In a medium bowl (or using an electric mixer fitted with the whisk attachment) whisk together the cooled sweetened condensed milk, and ice cold water, until blended. Add pudding mix continue to whisk into fully incorporated. Cover with plastic wrap and chill until set, about 3 hours (or you can leave overnight). 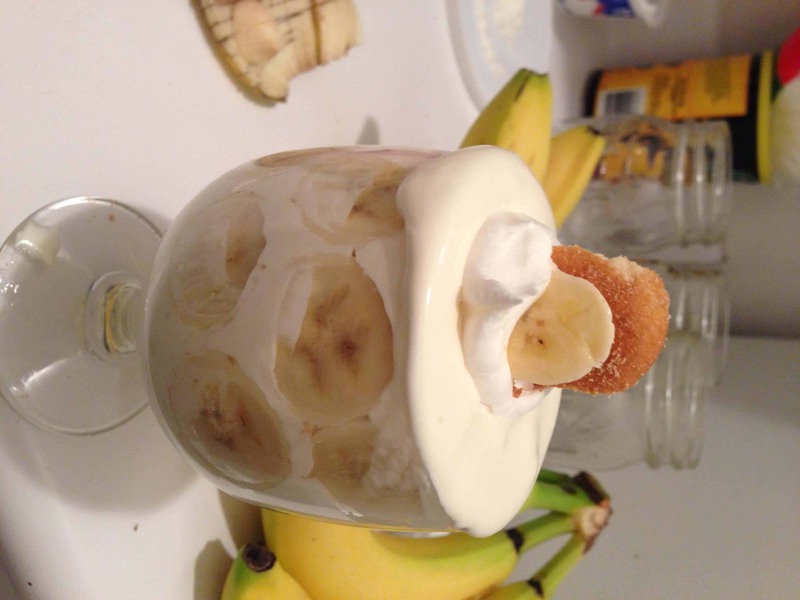 Once pudding has set, fold the cool whip into the pudding, until completely blended. 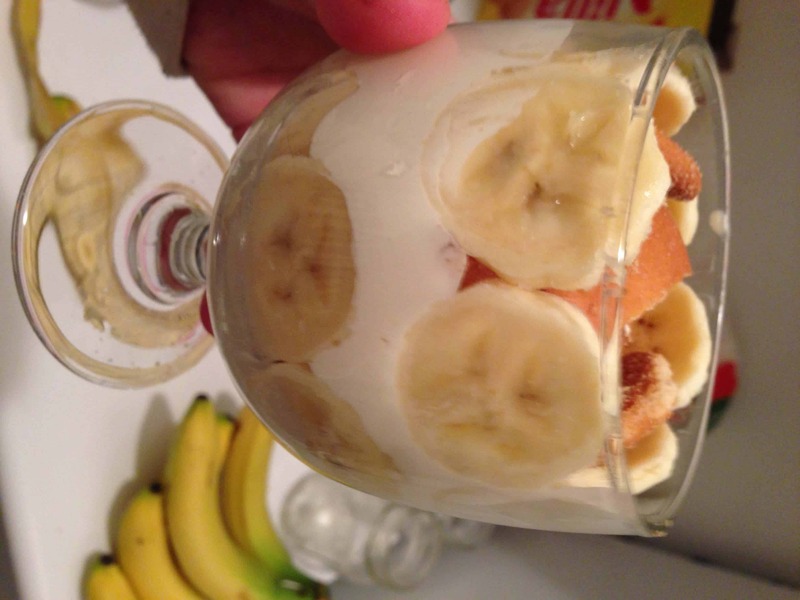 In your serving bowl (or individual serving jars), begin layering broken vanilla wafers, then bananas, then pudding. Repeat 2 times, or as many times you need/like to fit your desired serving dish. Garnish pudding with additional wafers or wafer crumbs, cover with plastic wrap and chill for an additional 4 hours. The final result?? Pretty close to the real thing! The texture was great, but there was definitely a hint of coconut. 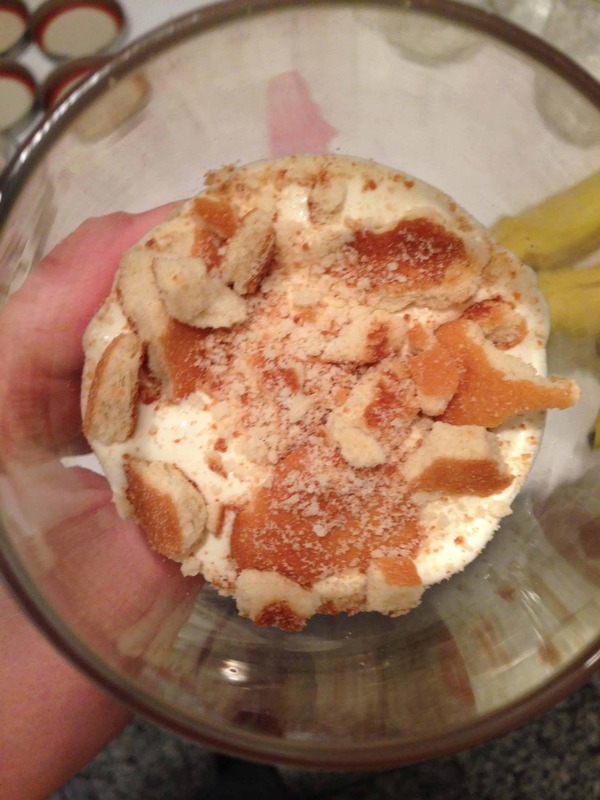 I was pleasantly surprised, and like to think of it as a tropical banana pudding. Hopefully the birthday boy will enjoy it too! 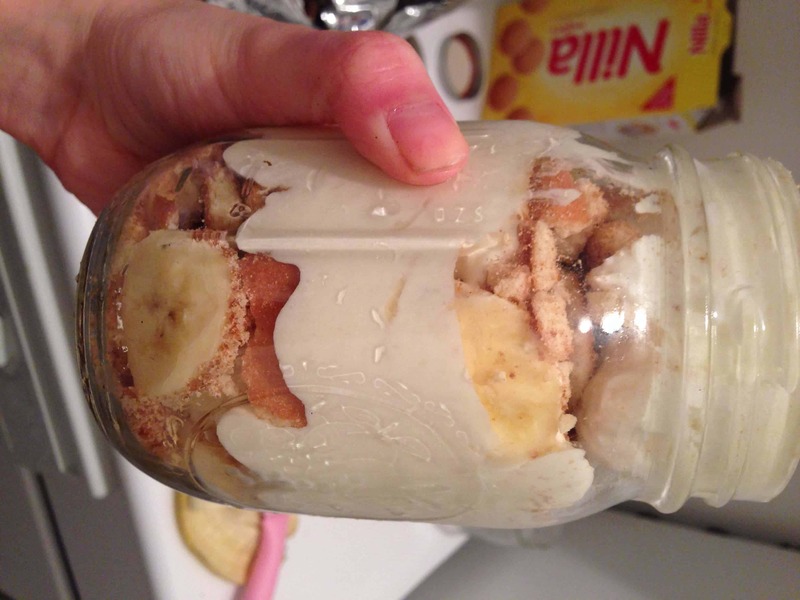 I layered the pudding a glass cup, and in mason jars. 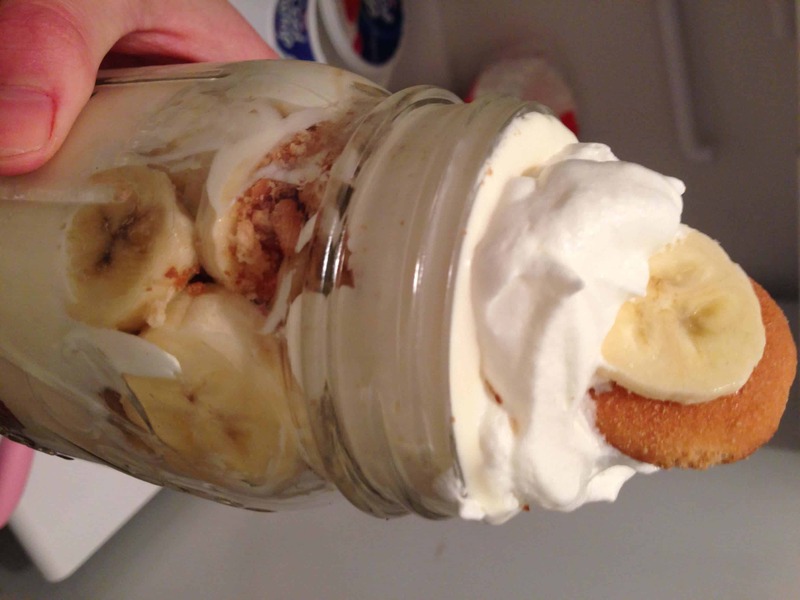 The presentation is a lot better in a cup, but storage and transport are a lot more manageable in mason jars. Did you make the cool whip with coconut milk also? Or what did you use to make it dairy free?